When is junk mail not junk mail? When it uses a special stamp that is hard to get! So if you get one of these from Royal Mail, urging you to buy into their Royal Wedding collection, don't just bin it. Although it doesn't show in this scan, this is the self-adhesive 2009 1st class from coils of 10,000. 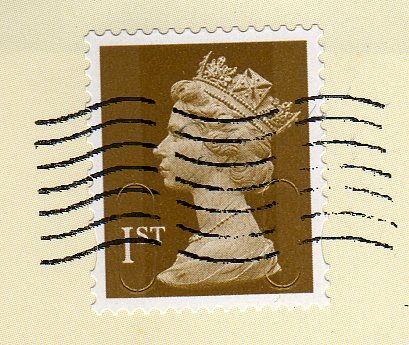 Many direct mail houses used 2nd class stamps on their mail-shots and I've never received a 1st class before, so thank you, Royal Mail! And if you get one and don't want it, I'm sure I have customers in the UK and abroad who would welcome it in their collections - please write! (ian@norphil.co.uk). And if you are a collector who has not had one of these - especially our friends outside the UK - please let me know if you would like one. 1st come; 1st served! 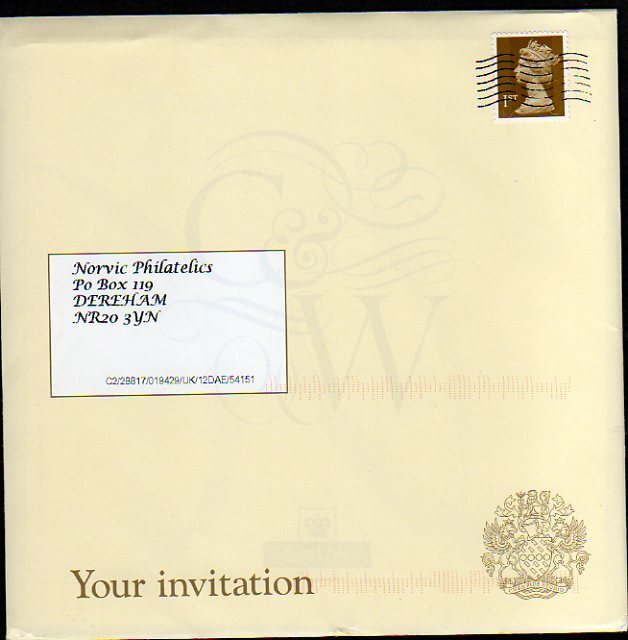 I was not surprised when mine arrived with a printed indicium rather than a stamp or two. Another philatelic disadvantage of living in the States. Send me an email - and you may learn something to your advantage !